Disneyland Paris is the most-visited theme park in Europe, and the 13th-most visited theme parks in the world. If you have never been to Disneyland Paris, you will find it comparable to Magic Kingdom in Florida. While larger, it has three less the number of rides. The park is nevertheless one of my personal favorite theme parks. It has some great takes on the popular Disney World and Disneyland rides while also including some unique rides and attractions that set it apart. Want to know a little bit more about Disneyland Paris? 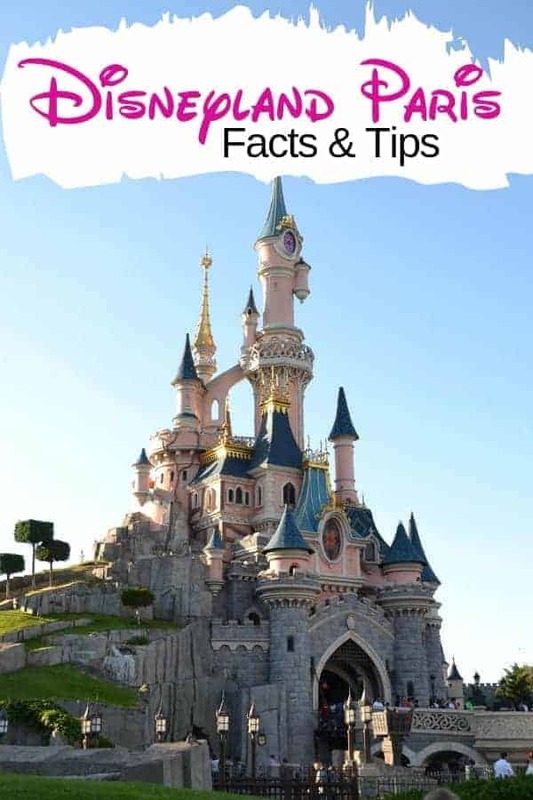 We have some great Disneyland Paris facts to share to help you enjoy the park just a little bit more! 1. Sleeping Beauty Castle in Disneyland Paris was inspired by Mont Saint-Michel & just like all Disney castles, it faces north-to-south to prevent backlighting for guests who wish to photograph it from Main Street. 2. The twisted concrete columns that grow into trees inside the castle were inspired by the Church of St. Severin in Paris. 3. At the bottom of Sleeping Beauty’s castle is an animatronic dragon. It is the only Disney park with this feature. 4. Walt Disney had a fascination with miniatures — he collected them and also had miniatures created for practical use in planning theme parks. Some of the most elaborate miniatures are in Le Pays des Contes de Fées in Disneyland Paris. While Disneyland in California features a version of this attraction, the version in Disneyland Paris is larger and has more scenes. 5. The (Hyper)Space Mountain at Disneyland Paris is the only one in operation that goes upside-down! 6. The limousine at the entrance of the Studio Tram Tour is the actual limousine used by Cruella de Vil in the movie 102 Dalmatians. 7. The largest number of Audio-Animatronics; figures in a Disney Park attraction is the 281 in “it’s a small world.” On the quarter of the hour there is a“Parade of Dolls” or “Changing of the Guard” on the clock tower façade that should not be missed! It’s pretty spectacular and different than the other Disney parks! 8. Four different versions of Big Thunder Mountain exist and the one at Disneyland Paris is the fastest, tallest and longest of them all. 9. Disneyland Paris has over 16,000 employees representing 100 nationalities. Disney’s Hotel New York is New York in design but has been under renovation and plans for it to be a Marvel themed hotel. Disney’s Sequoia Lodge is built to make you feel like you are at a lodge in a National Park. Disney’s Hotel Santa Fe is a South Western American concept. Disney’s Davy Crockett Ranch is all about living in the Wilderness. If you get the chance to visit Disneyland Paris, I think you will find it a wonderful theme park filled with fun rides & attractions. Did you know any of these Disneyland facts?